Orthognathic surgery is a surgery to correct conditions of the jaw and face related to structure, growth, sleep apnea, TMJ disorders, malocclusion problems owing to skeletal disharmonies, or other Orthodontic problems that cannot be easily treated with braces alone. • Gross jaw discrepancies . • Facial skeletal discrepancies associated with documented sleep apnea, airway defects, and soft tissue discrepancies. • Facial skeletal discrepancies associated with temporomandibular joint pathology. Orthognathic surgery is performed by an oral and maxillofacial surgeon in collaboration with an Orthodontist. It often includes braces before and after surgery, and retainers after the final removal of braces. The term orthognathic comes from the Greek words “orthos” meaning straighten and “gnathic” meaning of or related to the jaw. Hence the term orthognathic, meaning “straighten the jaw.” In today’s medical world, this term talks specifically to the surgical treatment aimed at straightening and/or realigning of the jaws. Many of you probably know a friend or two that has undergone orthognathic surgery. He or she may have told you that they were “having their jaw fixed,” or they may have stated that they were “having their jaw broken.” At the time, you may have asked yourself why this person was subjecting themselves to such a seemingly brutal surgery and were too bashful to ask. In this section, we will give you an overview of what this friend was talking about. In addition, we will try to give you some insight into the personal motivations of that patient and how they often evolve to a excitement and enthusiasm about treatment. Let us now look at a treatment modality whose outcome not only restores normal function but often stops the progress of local disability, enhances the quality of life, and boosts self esteem. 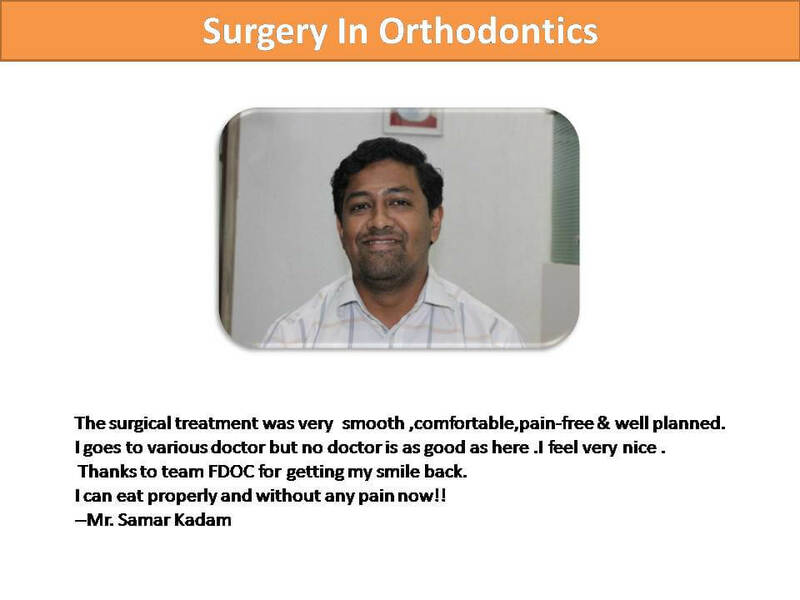 Such a rewarding and “upbeat” form of surgical treatment, the oral and maxillofacial surgeon feels privileged to have the opportunity to treat. Fortunately, the majority of jaw disproportionalities are merely a result of an unfavorable genetic expression of normal growth. As a result, most treatment plans are directed strictly at the return to balanced function and esthetics once an individual has reached skeletal maturity. Three of the more common disproportionate expressions of growth can be seen in examples demonstrated in the accompanying figures. (Figure 1 – Mandibular Prognathism, Figure 2 – Mandibular Retrognathia & Figure 3 – Vertical Maxillary Hyperplasia). Why Bother with Orthognathic Surgery? The first question that comes to mind for the patient parent or lay person who is not, himself, pained with a skeletofacial deformity or bite disability of this kind is why bother having this problem fixed? As loved ones, parents or friends, we have grown to know the individual who is a sufferer from this condition and like the way he or she looks to us. Additionally, it doesn’t often readily appear that this individual is suffering to any great degree. 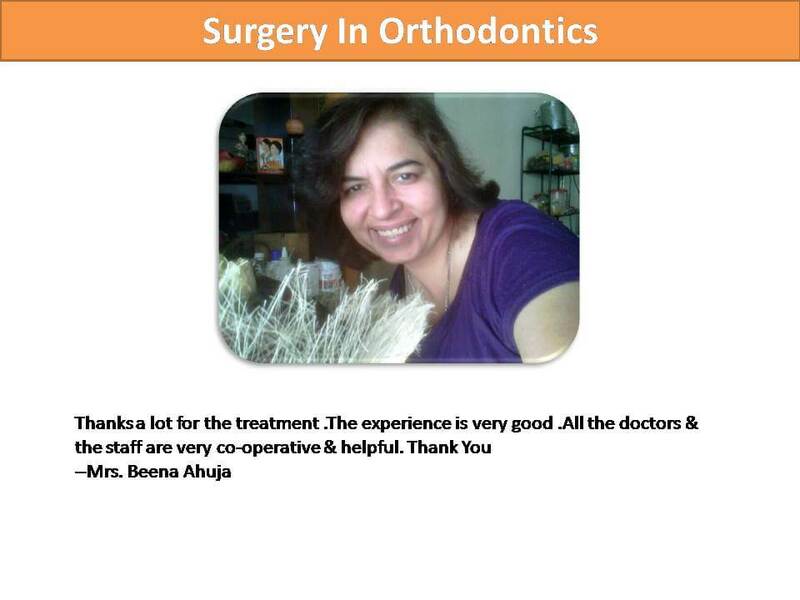 After all, they are not limping, and “they look pretty happy.” A long standing misconception of Surgical Orthodontic in Pune is that treatment in this area is directed solely or principally at improving facial appearance. In reality, there is nothing that is further from the truth. While the creation of balanced function is nearly always beneficial to one’s appearance, it is not the fundamental reason why patients are encouraged to proceed with treatment. In fact, there are often patients with what might be termed “silent malocclusions,” where their outward physical appearance remains unaffected by their disability. This patient gleans very little cosmetic benefit from treatment, if any. So why then, do patients see the need to undergo a procedure of this kind? Within the socially motivating area, there are two benefits that would be considered “quality of life” issues and are generally instantly gratifying consequences for the patient. These two would include “feeling Good” and “looking Good.” If you have ever yourself been bothered by the slightest interference in your bite (a seed or popcorn kernel) you will immediately recall how uncomfortable that situation can be. Compound that inconvenience many fold and/or speculate on the inability to bring your front teeth together to incise food. Rectifying such a predicament can mean the ultimate in “feeling Good,” to that patient, even if it means surgery to accomplish it. Physical appearance is important to most all of us. The improvement in aesthetics achieved by restoring facial balance through orthognathic surgery can mean an invaluable boost to one’s self confidence and overall feeling of well being. It is not an uncommon story to witness a self-conscious, insecure and shy patient become more confident and outgoing as a consequence of higher self-esteem. 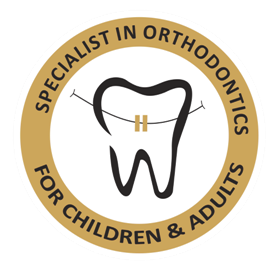 Preparation for Surgical Orthodontic in Pune nearly always involves a preliminary period of between nine and fourteen months of Orthodontic treatment (braces), and it should be emphasized that the Best Orthodontist in Pune is an integral component to the success of treatment. Orthodontic appliances are not removed prior to surgery and, in fact, serve as an aid to the surgeon during the surgical procedure. Moreover, there is usually a post-surgical period of Orthodontics that can vary from one patient to the next. Today, orthognathic surgery is a procedure commonly performed as a hospital based operation. The patient is often admitted on the day of surgery by his doctor and more often than not can expect to be discharged on the first post-operative day. Through the miracles offered by modern technology, the procedures most frequently utilized today are accomplished by operating completely within the mouth. At one time it was commonplace to have one’s teeth wired shut for nearly seven weeks. If you were to speak with the patient of the 70′s and 80′s they would site having their teeth wired shut as the greatest discomfort to the surgery that they were asked to undergo. Today, having your teeth wired shut is hardly ever necessary and the patient can most often resume jaw movement such as speaking, yawning and coughing almost immediately. The only limitations of jaw function still asked of nearly all patients, is to soften their diet for a period long enough following the surgery that it will allow for a stress free period of bony healing (usually four to six weeks of a mashed potato or scrambled egg consistency diet). It is often said by patients who are preparing for future orthognathic surgery that they are going to “have their jaw broken.” As doctors, we do not like to use the term “breaking the jaw,” because it conjures up a misconception in the eyes of the patient of a brutal and savage surgery that is haphazard and lacks control. We might more appropriately describe the procedure as a “realignment of your jaw.” This terminology more accurately expresses the methodology and precise nature of the proposed treatment. The “orthognathic treatment” begins literally on the drawing board. All surgeries are meticulously planned through the use of skeletal analyses, sketches, mock up surgeries on plaster models and even computer imaging. From this pre-operative work-up, the operating doctor can fabricate precise templates that are utilized during surgery to position the jaws. By the time your doctor goes to the operating room your proposed surgery is a carefully thought out and pre-planned event requiring only his routine surgical skills to complete the task. With the use of highly technical instrumentation along with tried and true surgical techniques the jaws are then precisely repositioned and stabilized using tiny screws, plates and/or wires. These screws and plates are only temporarily necessary after which the jaw mends itself into its new position. Because of their long standing history of biocompatibility, it is hardly ever necessary to remove them at a later date. What Is It Like to Undergo Orthognathic Surgery? •	Swelling – Simply a result of the trauma of surgery, most swelling from surgery of this kind will peak in visible size over the course of three to five days. Approximately 85% of the swelling resolves within a ten day period after which the remaining percentage often requires several months of maturation. •	Nasal and sinus congestion – As a consequence of the techniques utilized at surgery and associated swelling at the operative site, most patients will experience a five to seven day period of significant nasal and sinus congestion. Resolution of these symptoms is generally parallel with the abatement of visible facial swelling. •	Difficulty eating and chewing food – Although modern surgical techniques have freed the patient of the burdens of being wired shut, the first week following surgery is still fraught with moderate frustrations in the eating department. Swelling and the fear of moving one’s jaw too much tend to self-limit the diet to something of a more blenderized category. Only a short period of convalescence is necessary before the patient can return to a normal activity. Even patients presenting with the most complex of scenarios, are able to return to work or a school environment within ten days of the surgical date. The only prolonged and prescribed physical restriction may occur in the patient involved in “contact sports,” who may be asked to refrain from such activity for approximately three months. What Are The Results of Orthognathic Surgery? Orthognathic surgery is not a new technique or area of maxillofacial surgery. The conceptualization and early practice of this form of surgery have been around for many decades and the most recent technology has been practiced for nearly thirty years. Due to the continuing modernization of instruments and techniques of stabilization the elective treatment of a patient with this form of surgery has become safer, more comfortable, and more reliable. Procedures that once demanded nearly ten hours of surgery have been shortened to as little as three to four hours. Hospitalizations for surgery that would often necessitate four to six days as an inpatient and may have involved a period of time in the intensive care unit, now allow for discharge on the first post-operative day. Once recognized an occasional surgery to which only the most grotesque deformities were relegated for treatment, orthognathic surgery has evolved to a commonplace event, often occurring tandem to an adolescent Orthodontic treatment. The results are predictable, stable, and most of all gratifying to the patient. If you have any further questions regarding orthognathic surgery or would care to discuss your particular case with us, please do not hesitate to visit us .